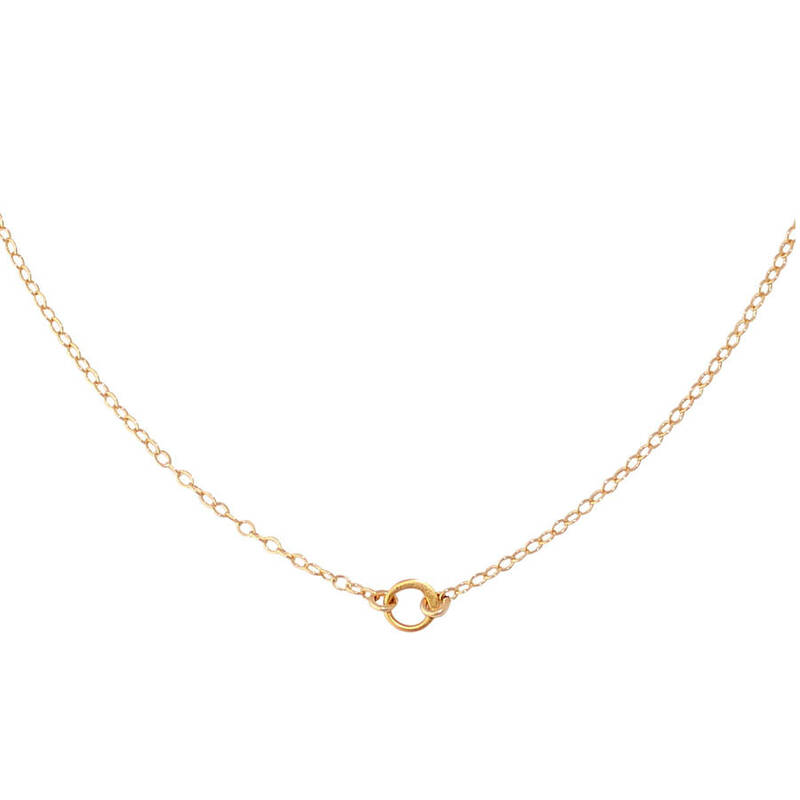 A delicate gold chain choker necklace, available in a choice of 3 lengths. 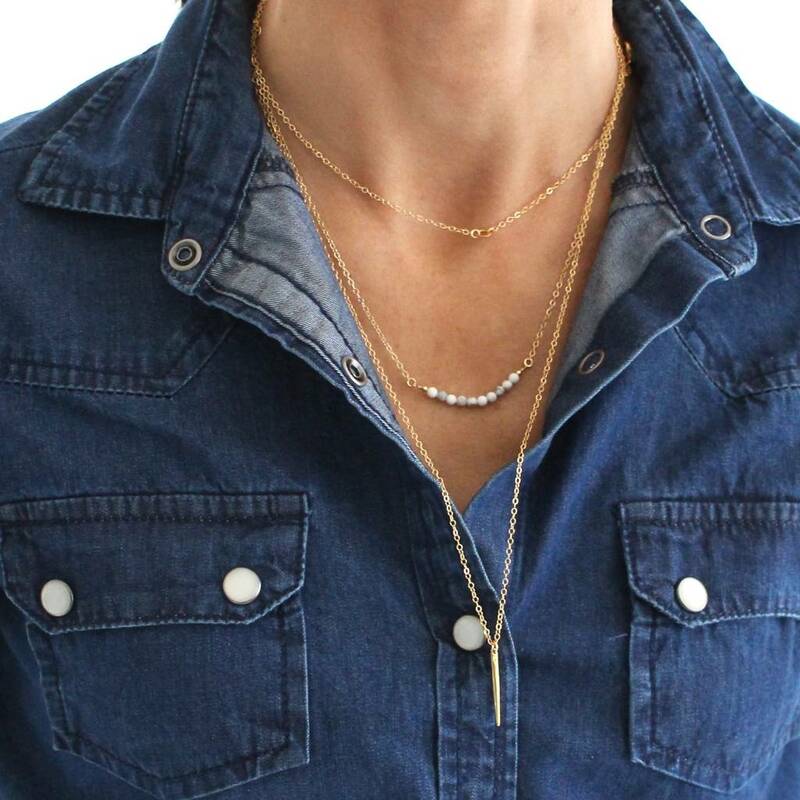 This gold fill choker necklace has been designed to form the foundation for a layered necklace look, but is chic & understated when worn alone. 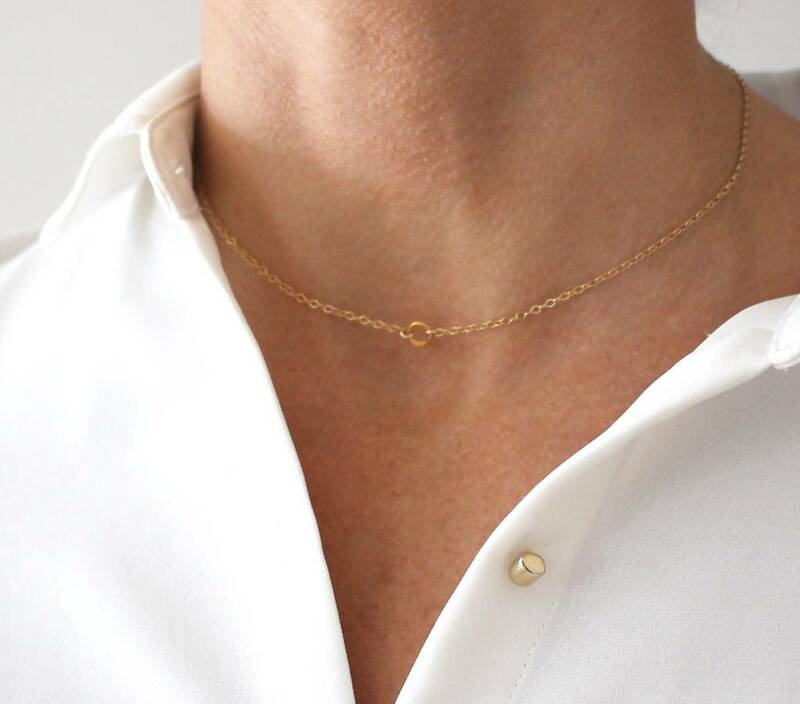 A delicate gold chain surrounds a small gold circle, which is the focal point of this subtle necklace. A minimal and dainty gold chain that you can wear alone for a chic look or layer with different styles. GOLD FILL: The material gold fill (also known as rolled gold) is durable and tarnish resistant, with over 100 times more gold than gold plated components, which makes it an affordable and high quality alternative to solid gold. Available in a choice of 3 sizes: 34cm, 37cm or 39 (all chains include an adjuster chain, to allow you to extend the length by 2.5cm). Choose from 34cm, 37cm or 39cm length necklaces. This product is dispatched to you by A Box For My Treasure.